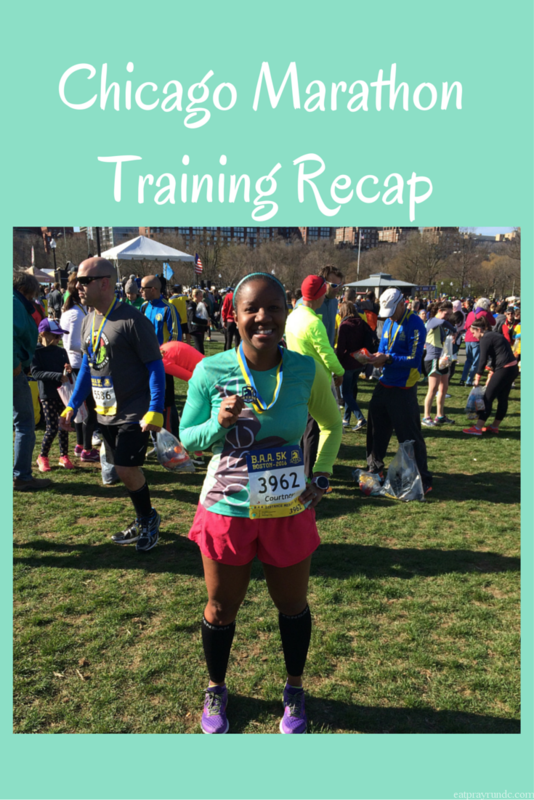 Chicago Marathon Training Recap – Three Weeks to Race Day! Holy cow. Race day is three weeks away, y’all. I can’t believe it. It’s time to recap week 15 of Chicago Marathon training. It was a fun one! Each week during this training cycle, as I train for the Chicago Marathon, I will share how my training went and what the week looked like. I do this because: 1) I love reading about how other folks train and 2) it’s great for me to have a record of what I did each week. Also, honestly, it helps keep me accountable when I know I’ll be writing about it. I also post almost all of my runs on Instagram as well. A few weeks ago, I started a link up for Chicago Marathon Training Recaps – I know there are more of us out there so please do link up! I love reading about folks training for the same race as I am, so please do link up! Monday: Five miles – my last run at Great Lakes Bird Camp (which I will finish blogging about soon). Good run – sad to be leaving camp. Tuesday: I got home late from camp and did NOT want to wake up and do 3×2 mile repeats. But alas, that’s what I did. And I did it faster than I’d done the same workout a few weeks ago. Proud of that! Wednesday: REST DAY IS THE BEST DAY. That is all. I wrote this last week and I think I’ll just leave it here. Because rest day IS the best day. Thursday: Ten tempo miles – plus a warm up and cool down mile – I ran 12 miles before work. Who am I? Friday: Five easy miles for recovery. Saturday: Clarendon Day! This is one of my favorite days of fall. There is a 5k and a 10k and if you’re truly crazy you can run both. This year, I decided to run the double after previously swearing it off. It was so great. 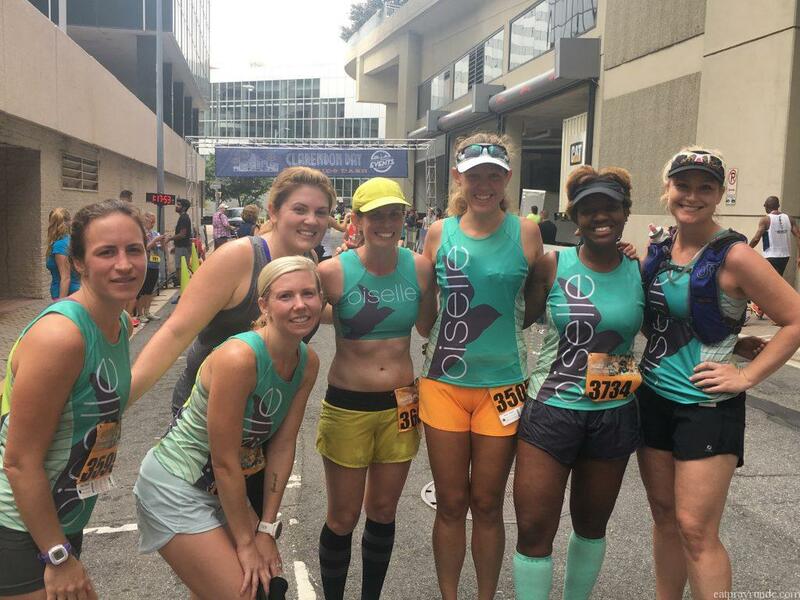 We had a ton of Oiselle team gals running and I ran both races with my friend and teammate Taryn and we had a blast. Best Clarendon Day double experience yet – even with the humidity! My goal was to run both races easy – long run pace. I ran the 5k in 29:30 and the 10k in 58:48 – perfect! Sunday: Sunday was the Navy Air Force half and we had a bunch of Oiselle gals running, including one of my best friends Julie (who was visiting with another good friend Caitlin from NC). My plan was to run to the race and then hop in with Julie, Caitlin and Kristin for a few miles. This worked out well – I ended up running over 11 miles throughout the morning and it was a lot of fun. I LOVE cheering on racers. It’s one of my favorite things ever and I got to see a LOT of friends running this one. Such a fun (and tiring!) morning. Total mileage for the year: 1075.13 miles (note: I hit 1000 miles for the year last week and didn’t note it. Yay for getting over 1000! I’m not sure I’ve ever done that! I am running the Chicago marathon to raise funds for the Ronald McDonald House Charities – if you would like to support this amazing organization, click here. Thank you! Just two more weeks of hard workouts and then the taper begins. I’m really excited to be getting so close and pretty much all I can think about is the Chicago Marathon! Great week, looks like you had some fun ways to get those miles in!! And reading about your 12 before work makes me not feel as bad about the 7 I have to do tomorrow. Lol. I will think of you when my alarm goes off. You are doing awesome girl, Almost there! Thanks – go get that 7 miles done! You’ve got it! My week was OK. I missed most of my runs but managed to run 9 yesterday and 8 today. Good – hope you are getting back on track! Sounds like marathon training is going really well! I’m amazed at how many miles you run! I can’t believe Chicago is 3 weeks away!! I know – I’m so excited that the race is so close! Nice work getting your workouts in! Following your training has been a big inspiration for me to get back into marathon shape. My half training went well this week, I had my best speed work session to date. Like you my race is right around the corner. Good luck in week 16!!! Thanks Dodie – it seems your training is going great as well! I’m excited for you! I can feel your excitement through this post! I can’t wait for Chicago for you–you’re absolutely going to have a great day! Awesome job for not only doing your Tuesday workout but nailing it when you didn’t want to run in the first place. Sounds like a really fun weekend running with friends too. Do you have any friends running Chicago? Yes! 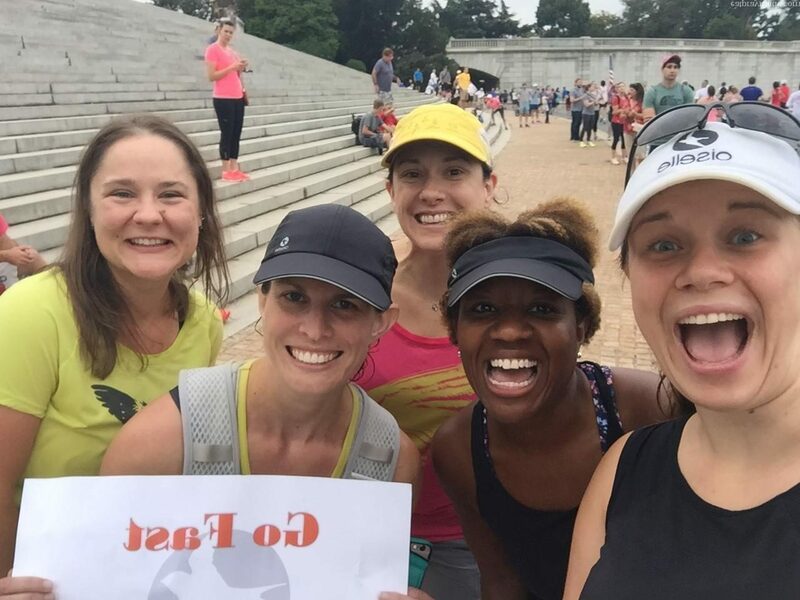 I actually know a lot of people running Chicago – one of my running buddies here in DC + a number of friends who are also on the Oiselle team. It should be fun! Sounds like a really fun weekend with lots of running with friends 🙂 And way to go getting in 12 miles before work! That is seriously impressive. I’m pleased that I only have two more ten mile tempo runs! Y’all are so adorable! I’m so glad you were able to have lots of Oiselle fun this weekend; probably made the return from Bird Camp a little easier, right? I can’t believe the race is getting so close; you’ve been working so hard and I hope you know how exciting it has been to watch you along this journey. BIG CONGRATS!! Yaaaay!!! You’re so close! Can’t wait for you!! Oh nooooo! Take some zicam and rest! Congrats on hitting 1000 miles! Get it, girl! Nice work out there this week! Impressed with those 12 miles before work! I am so Not a morning runner:( Hope the last three weeks before race day are awesome!! You are running for such great organization!! Thanks Kara – fun to see you Sunday! Congrats on a great week! It must feel great to see yourself improve from week to week. I didn’t realize you had a busy racing weekend too, nicely done! Awesome job on this tough week! Nothing like a 10 mile tempo before work to make you feel like a rockstar! Nice training! Being able to add in some race fun before your big marathon is great. So exciting that Chicago is getting close! There’s a girl in my pace group who is doing her first marathon at Chicago, and I can’t wait to track her! My training this year has been lighter than I’m used to. For the first season since joining my running group in 2012, I’m not training for a marathon. Feels so weird. LOL! But, since it’s been a really hot summer (worse than last year), I’m thankful that I am taking a season off from 26.2 right now.